Pi Day is here, and we’ve got some out-of-the-ordinary Pi Day pie recipes for you! Pi is a term commonly used in mathematics to represent the ratio of the circumference of a circle to its diameter, which comes out to approximately 3.14159. Pi has actually been calculated to over one trillion digits beyond the decimal point and would continue indefinitely, but is most commonly referred to as 3.14 (or maybe by your math teacher as 3.14159). That’s why every year Pi Day is celebrated on March 14th (3/14). According to the folks at PiDay.org, the term was first used in 1706 and named for the Greek letter “π” by a man named William Jones. He selected the “p” for “perimeter” of circles. The use of π became popular after it was adopted and used by Swiss mathematician Leonhard Euler several years later. Pi is a constant number, meaning that for circles of any size, Pi will be a little more than 3 times its width around. Isn’t that neat? And what goes with Pi that is round and used to celebrate an occasion? Pie, of course! Well, pyes, as they were called back in medieval England. It has been said that pie is also an idea from the Greeks. They made the first pastry shells by combining water and flour. Yet the original pies were not sweet like today’s many, many delectable dessert varieties. They were closer to what we know today as mincemeat pie or pot pie. In Europe, they filled pies with various types of meat and fowl, and flavored them with whatever vegetables, fruits, and spices they had available. Though you might think that the word “pie” came from “Pi” and the fact that pies are traditionally round, that’s not actually the case. Though it didn’t quite resemble the treats we know today, pie was brought to the United States by the pilgrims almost a century before the mathematical term was born. It’s actually a little unclear how the word “pie” came to be, but historians believe it had something to do with the blackbird known as the magpie. Nonetheless, the colonists found pies to be an effective way of preserving food. Pies were made to maintain a fresh food supply during the cold winter months. As the years went on, pies became a way to showcase local ingredients, from apples to lemons to cherries to peaches and more. Today, there are a multitude of interesting pies to choose from. In fact, we’ve got 20 different Pi Day pie recipes below for you to try as you celebrate Pi Day this year! So on this Pi Day come on over. We have Pi. I mean, pie. Those are some pretty fantastic Pi Day pie recipes, wouldn’t you say? And for an indulgent yet marginally less fattening take on Pi Day pie, you could always try these Apple Pie Baked Apples. Now, who wants Pi? Oops. Who wants pie? Jessica Cohen is a health coach, a greener living enthusiast, and an advocate of social good. On her website, EatSleepBe.com, she provides tips for being kinder to yourself, to others, and to the planet. Additionally, Jessica enjoys consulting with like-minded companies to create site concepts, develop editorial and social media calendars, ghost write, publish press releases, and run successful outreach campaigns. You can also find her on Facebook, Twitter, Pinterest, and Instagram at EatSleepBe. 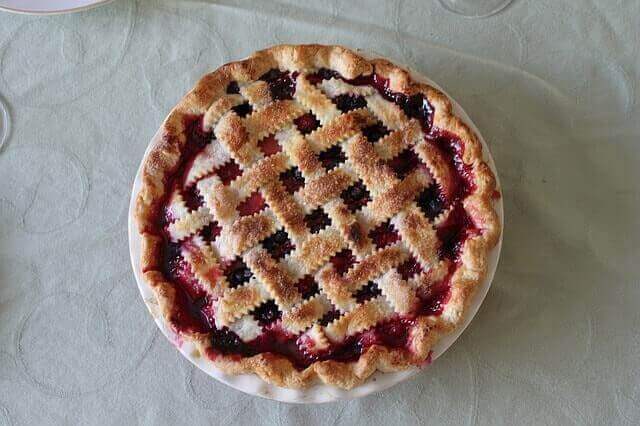 What’s your favorite kind of pie? Which of these pie recipes will you make on Pi Day? Share below!